The Sturgis Buffalo Chip is proud to announce that its ground-breaking Student Build Challenge will return in 2014. The bike build project is a collaboration between the Sturgis Buffalo Chip, Sturgis Brown High School, Black Hills Harley-Davidson®, Terry Components, Dakota V-Twin and a large group of industry-leading parts sponsors. The program provides the opportunity for Sturgis Brown High School students to learn from leading motorcycle industry professionals in order to create a one-of-a-kind custom motorcycle from a stock Harley-Davidson. For the first time ever, the class will customize a new year model Harley Davidson—the 2014 Street Glide. Most of the custom parts installed on the bike are not yet available to consumers, allowing the build to bring them to market for the very first time. Since the students have the unique opportunity to install the custom parts before other builders, this year’s Student Build Challenge bike may be the first custom 2014 Street Glide in existence. 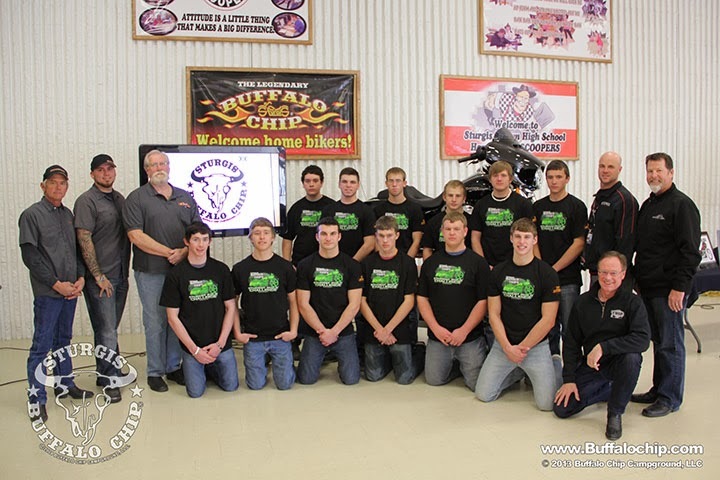 The Buffalo Chip created the innovative school program in 2010 as a means to promote technical education in South Dakota and provide students with expanded career opportunities in the motorcycle industry. Because the state is home to the world’s largest motorcycle rally, there is a growing number of motorcycle industry businesses that have moved to the Black Hills and are looking for experienced technicians. 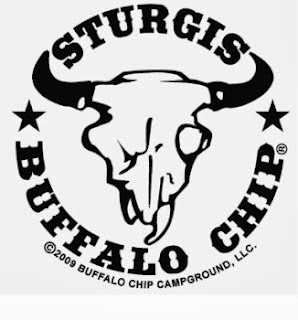 The Sturgis Buffalo Chip strives to assist in providing local career opportunities for students by creating a hands-on curriculum that teaches youth about motorcycle fabrication and customization. In 2013, the Student Build Challenge participants proved that they had learned the skills to put them on par with some of the world’s best builders. They took their custom Road Glide to the renowned Donnie Smith Bike Show, where it won first place in the Full Custom Bagger Open Class and Overall Best Display. The students also took first place in the Full Custom Bagger category and won Best Custom Paint Job at the Black Hills Bike Show. In addition to increasing students’ technical knowledge, the bike build project instills important values and life lessons. Participants learn to work together as a team and see the value in taking a project from concept to completion. Under the instruction of industry veterans, Keith Terry and Randy and Nick Cramer, Sturgis Brown High School students will learn the state-of-the-art techniques needed to customize the 2014 Street Glide. Black Hills Harley-Davidson has generously sponsored the bike for the project and some of the industry’s top manufacturers provided the world-class parts needed to customize it. 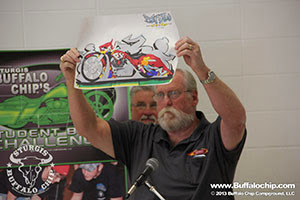 The completed Student Build Challenge creation will be auctioned off during the Sturgis Motorcycle Rally in support of the Buffalo Chip’s annual Legends Ride® charity event on Aug. 4, 2014. Follow the Student Build Challenge online at www.buffalochip.com, to see photos, videos and articles updating the public on the project’s progress.